There’s something special about a pair of fashionable shoes that fit, says Dev Randhawa. The shoes that don’t slide up and down on your heel, or the shoes that are so tight on your instep that your feet go numb while the shoes are on your feet. The quality and condition of your shoes tell a story about you, and that first shoe impression sets the tone of a first date or the mood of a one-on-one business meeting. Shoe style tips help clear the playing field because the men’s shoe business is on fashion steroids. Shoe companies like to knock each other off, so there are more men’s fashion shoes at the retail level than ever before, and that can complicate the shoe buying and wearing process. The best way to buy shoes is to buy quality footwear and know your real size. But even when you know your size, and you find a pair you like, they may not fit the way you want. Shoe companies make shoes on shoe forms that conform to different shoe measurements. It’s not unusual for shoes to have a U.S., European, and English size markings on the lining of the shoe. When shoe manufacturers use a shoe form that covers those three different size measurements, men have to settle for a shoe that almost fits. Most companies that make shoes in Asia use this type of sizing scale, so try to find a pair of shoes from Italy, Spain, or Brazil. Unfortunately, almost all athletic shoes come from Southeast Asia or China, so your running shoes might be a size larger or smaller depending on the brand. 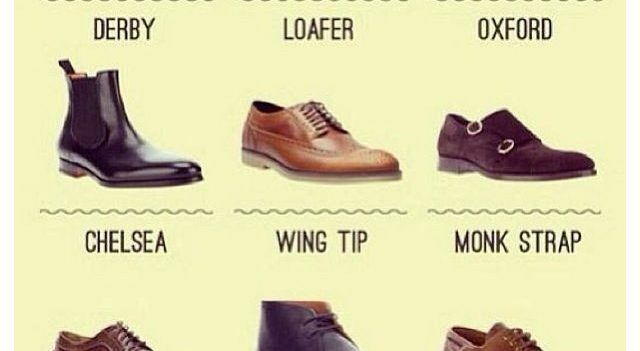 When you need a new pair of shoes remember, loafers go with almost any outfit, and wingtips and straight tips are in vogue again. 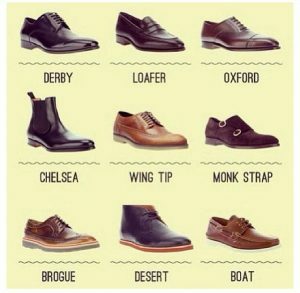 Plus, every man needs a pair of dress boots and a pair of cognac brown oxfords.